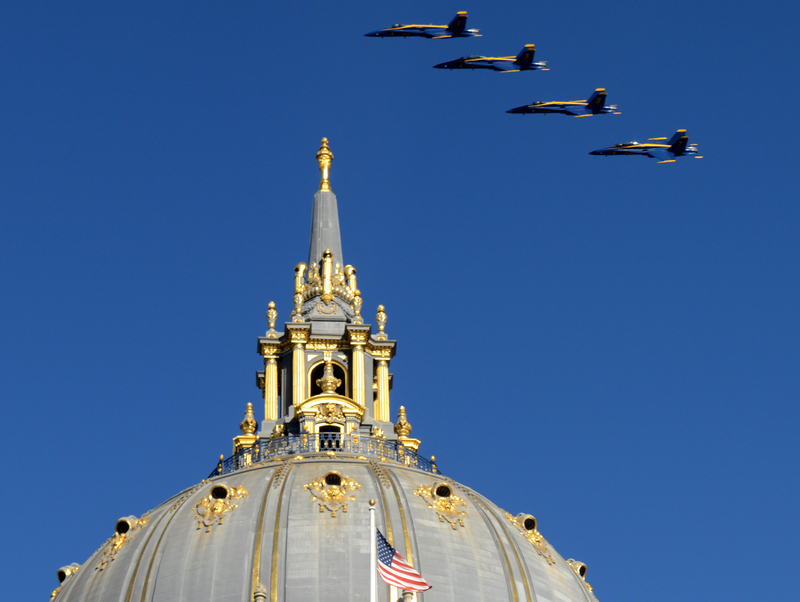 The U.S. Navy Blue Angels fly over City Hall in San Francisco, Ca. on Thursday, October 6, 2016 during a survey run of the city before they perform for the city on Friday and Saturday during Fleet Week. Photo by David Andrews.